Letting go of every single dream. I lay each one down at your feet. Every moment of my wandering never changes what You see. I try to win this war I confess. My hands are weary I, need your rest. Mighty warrior, King of the fight…no matter what I face Your by my side. When You don’t move the mountain, I’m needed You to move; When You don’t part the waters, I wish I could walk through; When You don’t give the answers, as I cry out to You ; I will trust, I will trust, I will trust in You. Truth is You know what tomorrow brings.There’s not a day ahead You have not seen; So in all things be my life and breath I want what You want Lord and nothing less. You are my strength and comfort; You are my steady hand. You are my firm foundation the Rock on which I stand.Your ways are always higher; Your plans are always good, there’s not a place where I’ll go You’ve not already stood. I will trust in You, I will trust in You, I will trust in You, I will trust in You!!!! Have you ever walked in darkness? I don’t mean the kind of darkness where you have street lamps or house lights to help you find your way home, I’m talking darkness with maybe the stars and the moon to guide you and it’s a cloudy night. Or have you ever played that game where you are blind folded (and no peeking, but tied tight;) and you had to trust the person you were paired with to get you through the obstacles that lay ahead? I recall a time while I’ve been living in Haiti where I was caught in the dark and I had forgot my flashlight. We had just finished up with a Ladies Conference and I had been talking with some ladies afterwards and as I prepared to leave the gator and everyone had gone back to the house. I was left in the dark with only the memory of the road and the stars to get me back. It was one of those nights where I lifted up a quick prayer to Jesus to help me get home safely. It was only 4 blocks away, but it was dark…really dark!!! I made it one block when I felt a gentle hand grab my arm and this precious woman who lived next door to us walked me the remainder of the way home. She was watching out for me, protecting me, shielding me and helping me back home to where there was light. I did not feel like I was in any danger and I had no fear of walking home, but my neighbor was watching out for me…she knew, but more importantly my Heavenly Father was watching out for me by sending this dear woman to lead me home…because I trusted Him. This past year I found myself walking in a darkness again.A darkness that a flashlight just can’t help. A darkness that covered me not only physically, emotionally, and mentally, but spiritually. Let me just say when you pray “Lord, strip it all away” be prepared. There were area’s that surfaced that I thought I had dealt with long ago, but they returned with such force, deception and power and with such fatigue I had no fight left .This woman who doesn’t like to give up was ready to do just that, but I realized there is a difference between giving up and surrendering. I needed to surrender it all to God…the good, the struggle, pain, confusion, fear and the ugly. It certainly wasn’t pretty and the example I spoke about in the last blog was failing miserably. I felt I was disappointing to many or that I had tarnished my character and walk because of my own insecurities of what I believed to be true, but in the midst of what I believed was truth…God was using many to lead me back to the joy of my salvation. I am so very grateful to those that didn’t give up on me during this time…that walked with me, listened to me and poured into me selflessly even when it was so very difficult. I am grateful for the team members that came through without you even knowing it…spoke life, encouragement and love into me as you affirmed me. I am grateful to a dear friend that heard my heart and spoke truth to me to get help. I am grateful for those that interceded for me when you had no idea what was going on, but He placed me on Your heart so you prayed!! I am grateful for Alongside, an incredible retreat and counseling center for Pastors and Missionaries…that loved on me, poured into me, taught me and equipped me with tools to walk in truth, freedom, grace, peace and more joy. (spending 2 weeks with other missionaries and pastors to see how important self-care and community is on the field and ,despite different countries, deal with the same issues. WOW!! Still processing it all!!!) I am grateful for supporting churches that care so deeply for me even when I was falling apart…there understanding of where I was as a missionary and the counsel I received…overwhelming!!! And so very grateful for a family that loves me unconditionally and supports what I am doing…even when they may not understand, they know I desire to listen and obey. Above all a Good Shepherd that sent each of you to gently take my hand and lead me to the next step in the light along each days journey. I have this plaque on my wall that one of my Haitian sisters gave to me that says…The Lord is my Shepherd!! I can’t tell you how many times I sat on the couch and stared at those words praying that I would shake myself out of what I was in. When I came out in Aug. to the states these words were a lifeline for me. “ The Lord is my Shepherd I shall not be in want. He makes me lie down in green pastures, He leads me beside quiet waters, He restores my soul.” Psalm 23:1-3b He literally and figuratively did this for me. The Good Shepherd has held me tight and has never let me go. I shared with our ladies a few weeks back the struggles I was facing. The depression I was in. The anxiety and fear I was dealing with. The health problems and emotions that I was dealing with and shared these Scriptures with them that I just shared above to encourage them that together with Christ we can defeat the darkness and walk in victory because He is ours forever!! Amen? I also shared this Scripture that really tied the message together. You may be walking in the dark right now. Maybe you feel you have lost your way. Maybe you have been sitting in the tunnel of despair and feel there is no way out. 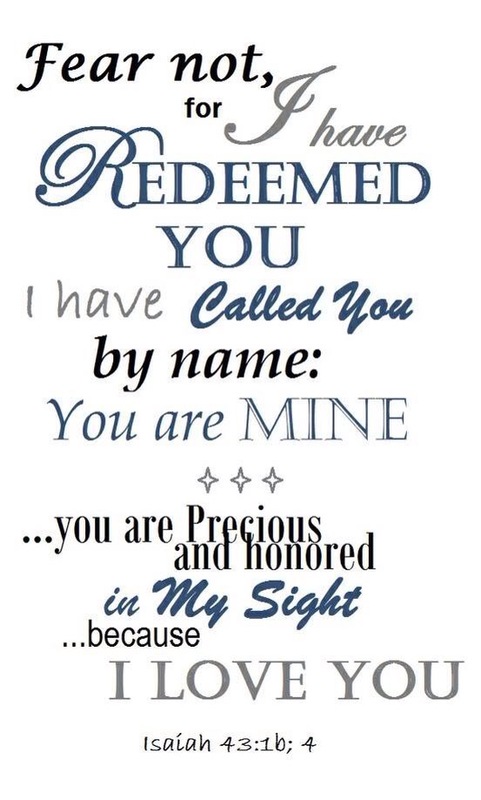 Let me encourage you to call on the the name of Jesus…the name that is above every name. Ask Him to help you; put your hope and trust in Him. Allow Him to take you by the hand and lead you to the other side of the tunnel where there is light. Where there is hope. Where there is forgiveness. Where there is healing. Where there is freedom. Where there is love. Where there is redemption. The past few Mondays I have had the privilege of teaching Ladies Bible Study. I so love starting the week off with these precious ladies. Learning, playing, laughing, crying (ok this is mostly me;) lol, discussing, arguing (yes, we can get into some interesting arguments that to me seem totally banana’s, but to them it’s real….sometimes I forget this and have to remind myself that many of these ladies are young in their faith…grace. Amen? Sometimes too, I have to remember to take the log out of my own eye, before I can help pull the plank out of my sisters eye.) serving, evangelizing, worshipping and praying. It’s been so exciting to witness these ladies grow in the ways of the Lord. Seeing those that lead and are mature in their faith grow stronger and be the example to those that are new in their faith. This is where the lesson Pierre and I was sharing was rooted. The week before we had one of those drawn out discussions that I felt went in circles, but in the midst of it all I listened to their hearts as God translated and gave me better understanding. After that day one verse and the song above kept swirling in my head. The song has been a prayer of mine since 1994 when one of the swimmers I coached drove with me from Ohio to Dallas, Tx. It was a great drive, but also difficult as I knew at the end of the trip I would have to say good-bye. This precious girl had become like a daughter/ little sister to me over the years as I helped coach her, and though I did not know what God was doing in her then, a few laters she would accept Jesus as her Lord and Savior. As we crossed the border into Texas this song came on the radio. The radio had not worked for hours so to listen to this song and soak in the words it put a lump in my throat and tears in my eyes. This was the time God began to birth a deeper passion for discipleship and growing in Christ character. It still helps fuel this passion especially during seasons of struggle and confusion. I posed this question to the ladies…When we think of the characteristics of Christ what do we think of? It took them a couple of minutes to begin to answer, but once one of our ladies began, they were off and running. Compassionate, Forgiving, Patient, Gentle, Protector, Provider, Friend, Counselor, Peace, and on and on:) I shared with them that when I look up the characteristics of Christ I can find way over 60 traits and that I can get overwhelmed by so many, but the one place we can look for is in Galatians 5:22-23 Listing the Fruit of the Spirit and then asking ourselves Am I walking in Christ-likeness? What is it that I need to ask Jesus to help me with and who can I recruit to keep me accountable and walk alongside of me? The week before one of the ladies shared this during our heated discussion. She shared with the ladies that she comes to Ladies Bible Study to learn more about Jesus and that she finds sisters here that pray for her, come alongside of her and offer help when she isn’t able to help herself. I reminded them of this and how beautiful it is that we can come alongside one another, study God’s Word with one another, pray for one another, grow in grace with one another, cry with one another, serve one another, laugh with one another, and keep each other accountable. I posed another question to them…In our list do we find jealousy, envy, greed, gossip, revenge, fear judgement, anger, fear, bitterness, pity, selfishness….in Jesus? A resounding NO! NONE OF THESE!!! But do we find them in us? Oh Yes, Amen!!! We know we don’t want to admit it, but we all do. There are rooms in our heart that at we want to close off and not admit the struggle with.We all have them and unfortunately as the body of Christ we are harder on each other and on ourselves. We are good at pointing out the plank our neighbors eye before noticing we have our own log in ours. We just stink at just sitting down and being transparent with one another and saying, “hey, I notice your struggling a bit with gossip or jealousy. Can we talk about it together instead of talking about it all over town. Maybe together you decide to conquer this with Christ help.” We reminded them that they are more than conquerors with Christ Jesus!! Lastly I asked them…How do we develop Christ character? How do we say I want to be a woman who walk in Christ-likeness and mean it? It means getting real with ourselves and others. It means doing a heart check as well as a thought check. It means getting serious about our prayers and ask for help in the problem areas that we know we struggle with. Which means if we are praying about it don’t be surprised if He places you in circumstances and experiences to teach us. In other words whenever we choose to respond to a situation in God’s way instead of in our flesh nature we develop His character. For this reason he allows conflict, disappointment, difficulty, temptations, times in the desert and delays. We left them with this challenge…In what difficult circumstance in your life might God be trying to build your character? How does your attitude or perspective change in hearing this today? Who are you being a living Bible for? I leave the same challenge for us all? When you think of “living on the edge” what sort of definition comes to your mind? Dangerous living? Extreme sports? Unlawful activity? Sheer craziness? The Urban Dictionary defines this phrase like this….living a dangerous or unusual everyday life.People who live on the edge quite frequently expose themselves to physical, psychological, economical, lawful or other kind of dangers. For the past 4 or 5 weeks we have been using this expression quite a bit, but in Haiti we use it in a different way and it revolves around our way of communication back to the states…the Internet. The cell phone company that we were using and had a reasonable monthly plan for Internet decided that the Mole didn’t have enough subscribers. As it so happened my plan ran out around the time this began. At first I was a bit frustrated with this, but as time passed it became somewhat freeing and made me stop and reflect on the hold, that so subtly has grabbed me. These thoughts have played on my mind…I never really checked who liked my posts and now I find myself saying,”She liked my post, Why? “Did he or she just check the like box in passing? Why doesn’t anyone ever comment? Why doesn’t this person or that person e-mail me anymore? Ive been lax in blogging and only short snippets on Facebook, how can I do better? Better yet, how can I revive my desire to write…it is so flat right now!? I haven’t been a very good daughter, sister, niece, aunt or friend at writing and (sorry;( all) at keeping up…know though, you are loved hugely, missed greatly and prayed for muchly!! I was carrying my phone everywhere as if it was attached to me and wondering who might send the next message, Vox or email…which consequently were very few and far between before this happened.I was finding the very thing I was struggling with in others was beginning to grab me as well. I let my guard down somewhat and was critical of others. Isn’t this just how satan works? He gets his foot in the door so easily and innocent and the next thing you know you are being mastered by his deceit…we fall right into his trap. I am grateful to God for allowing me this time to “LIVE ON THE EDGE” for these weeks. It has taught me a lot. First…that though it may sound silly, the definition still holds true. Anything can master you. Even technology! It can be just as dangerous if it takes you away from your first love…your relationship with Jesus Christ. I don’t ever want that to be the case with me and those I love. Second…this EDGE showed me more of His grace and extending that to others. How easily we all can fall into this trap if we don’t guard our hearts and minds. Fourth…to be more intentional with all that I do. In the classroom. On the campus. In the community. With teams that serve. Lastly…it’s important to keep connected but with right motives and with conversation. I need community that will encourage with words. Whether by Voxer, Facebook or by email…these are the ways for me to communicate with others. With Gods help and those who keep me accountable I am connected again now, but with a different company, but still “LIVING ONTHE EDGE” , but keeping my heart and mind alert to the trap that was laid before. With this said…Miss Beth is back online, but at a different pace and purpose. To try to engage those I connect with (not just the like button:) to build relationships that glorify God and point others to His son, JESUS! To encourage and share His Word and His ways as He leads me. This morning our message was over Hebrews 13:16-21. It reads “And do not forget to do good and to share with others, for such sacrifices God is pleased. Have confidence in your leaders and submit to their authority,because they keep watch over you as those who must give an account. Do this so that their work will be a joy, not a burden, for that would be no benefit to you. Pray for us. We are sure that we have a clear conscience and desire to live honorably in every way. I particularly urge you to pray so that I may be restored to you soon. One of our Church leaders brought the message as our Pastor was sick and running a high fever. He encouraged our family, as we begin this New Year, to lift up our Pastor in prayer. It was wonderful to start out the New Year with the pews full and this encouraging Word. After worship Momma Gigi asked if I was going to visit the Pastor with them. I must have missed that announcement;) I told her, of course. Usually when we visit it is 6-8 of us. When we reached the Pastors house I felt like I’d just stepped into Gods Word when the disciples or Paul would be in the home and people were packed to the seems listening. It was a bit surreal. Many of our church family were in the home as I entered. To see such incredible support brought tears to my eyes as I flashed back over the struggles we have encountered the past 4.5 years. To witness the church body praying over, singing over and encouraging this family was a great way to begin the New Year! I ask you too, to pray for our Pastor and his family. That he would persevere and be courageous as he speaks truth in love, gentleness and humility. Pray for our Church family that we would continue to grow in faith and would be a bold witness to the community. That His Light would shine in the darkness! Consider Job? For Discipleship Class? Yesterday we began another Discipleship Class for women in our community. For previous classes we have taken 20 of our Ladies in our Dames group and paired them with one of the ladies that had been sought, prayed about and asked to come. This time we are doing something a little different by using our mission staff who are also strong leaders for all of the women in the Dames group. Mama Gigi, Tezzie, M’NeNe and Elirose along with Kenson, Pierre and myself will be teaching and coming alongside this group of women. As I said we began yesterday and as I sat down this week to prepare our first lesson I kept coming back to the book of Job. Really God? You want me to use Job? How? Why? And then…Why not!! I’ve seen to often the ladies that begin coming and then a prayer wasn’t answered, struggles were overwhelming, the enemies schemes overtook them, and they would leave going back to old ways. The ladies and I have gone out to check on those we haven’t seen , to encourage them and pray with them, but many, still wrestle with the chains that have entangled them. Each home I’ve entered my spirit senses this heaviness and battle they are in and so…We Pray! Before I jumped into Job I asked the ladies a few questions. I asked them if they knew why they were here. Most of them said no and I shared with them that they weren’t here by accident, but that we were praying for the women in this community and that God led our ladies to them. That they were chosen. When I said this you should have seen many of their faces go from downtrodden to all smiles! My heart burst with joy!! He is the only way, only truth, and only life. He is the wellspring of wisdom. He is the foundation of faith. He is the doorway of deliverance. He is the pathway to peace. He is the roadway to righteousness. He is the gateway to glory. Then I explained, “we want to share with you who this Jesus is and why we love Him, why we trust Him, why we believe He is who He says He is, why when the difficulties and heartache of life hit us that we run to Him and praise Him because He is our strength. He is our refuge. He is our comfort. He is our hope. He is our peace. He is our deliverer. He is our defender. He is our song and we love and trust Him with our lives.” Then I asked them…”Are you you ready for the journey?” A resounding Yes!!! “Now, I said, ” if Job, who had everything, and now had nothing and had sores all over his body believed and praised God…isn’t it worth finding out more about this God, this Jesus who in Jer. 1:4-5, chose you before you were even born?” YES!!! was their reply . I shared a little more of Job and then I reminded them how much Jesus loved them and prayed over them. Pray for these precious ladies, our staff women, Kenson, Pierre and myself. Pray for Light of Jesus to shine in the hearts and lives of these ladies and their families and pray for the ladies that have returned to old ways and continue to struggle. Pray for roots to be dug down deep. That the anchor will hold!!! In a world full of broken dreams…Where the truth is hard to find…For every promise that is kept…There are many left behind…though it seems that nobody cares…It still matters what you do…Cause there’s a difference you can make…But the choice is up to you. Chorus: Will you be the one to answer to His call…Will you stand when those around you fall…To take His light into a darkened world…Tell me will you be the one? Oh sometimes it’s so hard to know who is right and what is wrong…And where are you suppose to stand when the battle lines are drawn…There’s a voice that is calling out for someone whose not afraid…To be a beacon in the night to a world that’s lost it’s way. Chorus: Yes, I’ll be the one to answer to His call…I will stand when those around me fall…I will be the one totake His light into a darkened world…I WILL BE THE ONE. I had been thinking about how I came to this point and questioning and just tracing back to moments of significance. Moments like these. When you know, that you know, you were in the presence of God…even with 1000’s of people around. I’ve had other moments like these where I was brought to my knees or the times I could here His the small still voice, but why this moment? As I continued to walk and reflect and just press into the One who knows me I realized He was reminding me of this commitment I made to Him. You see I said Yes, Lord and when I did…I meant it with all my heart, mind, soul and strength. What I didn’t know is how. What I also didn’t know is that the journey I was on with all the struggles and uncertainty. With all the ups and downs. With the many lessons I would walk through and learn, prepared me for the unexpected. You see I always thought I would be coaching swimming until He decided to bring me home. I thought the pool deck was my mission field and the athletes, parents and coaches were those I would be sharing the Light of Jesus with. For almost 15 years I coached with the Dallas Mustangs and that commintment I made to be the One was the mission I took. It was also a training field for me as I learned to be more bold in my faith and really learn how to share the love of Jesus. I had some very sweet moments over those years seeing the Lord teach and mold these athletes, parents and coaches. God granted me favor in so many ways in sharing my faith and also praying with the athletes I coached. I continue to pray for many of them today as my heart still breaks for those that don’t know Him. I pray that God would send other men and women of God that would lead them to Him. I pray that they would see how much Jesus loves them and that He is the only Way, Truth and Life. I pray for their hearts to hunger and thirst for Him. There are days when the enemy likes to taunt me about these kids and tell me I didn’t do enough or say enough or that I really didn’t make a difference. It’s on those days I recieve a short note or e-mail from one who tells me diffrently. I love God’s timing in this!!! I love the fact that I still have the opportunity to encourage and speak truth into these young people via e-mail, facebook or Vox.I may not be walking up and down the pool deck with them anymore, but the relationships God continues to build through prayer. I love it!! This morning I was woken up early with a huge storm, not only outside, but inside my heart. As I laid there in bed I began thinking about these kids and their relationship with Jesus. The tears were on the verge of escaping, because they may know of Jesus, but they may not know Him in a personal way. Then I began to think about my courageous brothers and sisters around the world who are being persecuted because they walk hand in hand with Christ. It simply made me weep even more, but with a hope. The hope of knowing that I will meet and see them in heaven. Will I see these kids, their parents or the coaches I worked with? Today churches around the world are gathering today in buildings, under trees,in huts, underground, in military tents that have been burned (that would be us!) in homes in silence or in undisclosed locations to worship Jesus together as one body. The day has been set aside to pray for the persecuted church and as I read and listen to stories of those who have courageously forgiven their enemies and have died proclaiming Jesus, my heart cries out for the hurting and the lost. Times are changing fast and none of us knows what tomorrow may bring. To many of us are living in fear of the “What if” or maybe even the fear of the “When.” And then there are those that are sticking their head in the sand and denying everything that is going on the world. If we are living or paralyzed by fear are we living God’s way? His way tells us to go into ALL the world and make disciples. He didn’t say only preachers or teachers or people that went to Bible College….HE SAID ALL!! That means you and that means me!! Friends…if you do not have a personal relationship with Jesus Christ will you begin seeking Him. He knows you!! Do you know Him? Will you repent of your sins and trust Jesus Christ alone for salvation? He is waiting with open arms…come as you are!! If you know Him…WILL YOU BE THE ONE? Will you trust Him? Will you step out of the boat? When you keep your eyes on Him you’ll find you are able to walk on water and that He will do immeasureably more than we could ever ask or imagine!! Remember those in prison, as if you were there yourself. Remember also those being mistreated, as if you felt their pain in your own bodies. Hebrews 13:3 PRAY! !